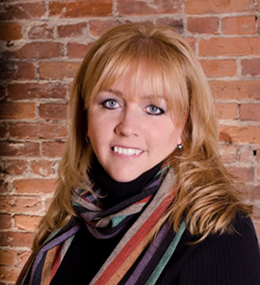 Ellen Marie Wiseman is the author of the new novel The Life She Was Given. 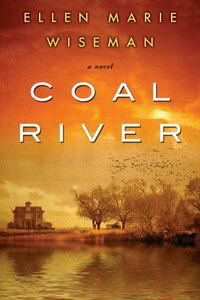 Her other books include the novels Coal River and What She Left Behind. She lives on the shores of Lake Ontario. Q: You’ve written that the idea for your new novel started with the image of an old camera. How did that lead to the creation of your characters Lilly and Julia? A: After imagining the old camera hidden inside a mansion, I imagined a little girl, Lilly, locked in the attic, which probably stemmed from my love of the book Flowers in the Attic and my fascination with heartbreaking stories about people hiding their “less than perfect” children in a back bedroom. And after touching on a freak show in my third novel, Coal River, I wanted to explore that world further so I came up with the idea of Lilly being sold to a circus sideshow. I also wanted to write about someone finding the attic bedroom years later and unraveling the secrets hidden there. That’s how I came up with Julia, who inherits the mansion and uncovers her family’s dark past, with a few surprises thrown in, of course! Q: What kind of research did you need to do on circuses in the 1930s, and did you learn anything that especially surprised you? A: During the writing of The Life She Was Given, I read the following books: American Sideshow by Marc Hartzman; Shocked and Amazed: On & Off the Midway by James Taylor; Step Right This Way: The Photographs of Edward J. Kelty; and Carney Folk: The World's Weirdest Sideshow Acts by Francine Hornberger. Some of the things I learned that surprised me had to do with circus superstitions, like goats on the lot bringing good luck, peacock feathers bringing bad luck, whistling in the dressing room bringing bad luck, and a bird in the big top meaning death for a performer. Also, in the circus, all elephants, whether male or female, are called bulls. And all freak shows have fake acts, or gaffs, like Pickled Punks, which are strange once-alive objects, mostly human remains, in jars. (Hitchcock did an episode about this called The Jar.) P.T. Barnum created the Fiji mermaid by attaching a monkey’s skull to a fish’s body. There were also fake Siamese twins, and the most famous Siamese twin, Marguerite Clark, was actually a man with a rubber baby doll glued to his stomach. Q: The novel alternates between your two characters. Did you write it in the order in which it appears, or did you focus more on one character initially? A: I wrote the characters’ stories separately, first Lilly’s, then Julia’s. Then I printed everything out and put the chapters together, alternating each character and hoping the story would make sense when I read through it. Thankfully, with a few tweaks here and there, it did! 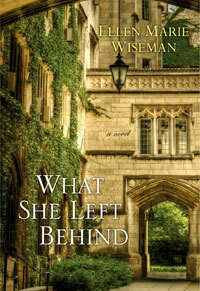 A: After tossing a few different ideas around, my editor came up with the title "The Life She Was Given." To me it signifies the lives both Lilly and Julia were given, the things they had no control over, and the choices they made trying to find love and happiness. I think it’s important to remember it’s a matter of luck what kind of life we’re given, and to read and learn about the struggles of others helps us be more thankful in our own. A: I’m working on my fifth novel, which is set in the Philadelphia tenements during the Spanish Influenza, the most lethal pandemic the world has ever know. It follows a young girl who, after discovering her mother has passed away, becomes determined to take care of her twin baby brothers until her father returns from the war. Eventually she must leave the apartment to search the quarantined city for food, so she puts her brothers in a bedroom cubby to keep them safe. But when she comes back, they’re gone. 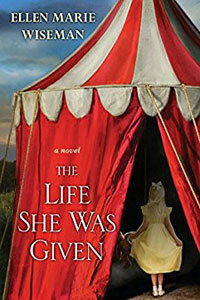 A: The Life She Was Given will be released on July 25 and is a Goodreads Best Book of The Month for July! Yay! I’d love to have you join me on Facebook, Twitter, and my website. Thanks so much for your interest in my work! I hope you’ll check out all four of my novels and let me know what you think. And don’t forget to leave reviews on Amazon and Goodreads! You're very welcome--I'm so glad we could do this interview! Oh, man: novel five sounds amazing, too, Ellen. Happy launch day!